Work for Avira Endpoint Security? I have been using Avira Endpoint Security for some time and without a doubt it is one of the best antivirus software that I could implement. statement that can be attributed to all the advantages that confer its characteristics as they are, the fact that its installation process is very simple, does not require many resources from the team so it can be installed on a mid-range computer , its interface is very intuitive which makes it easy to use, its analysis system is quite fast, guaranteeing the detection of any threat such as viruses, worms, trojans or other types of malware. in addition, it allows me to enable or disable some additional functions (vpn, password manager, among others) that allow you to provide a higher level of protection and as a result it captures malicious traffic in the network ports of the endpoint very efficiently. Avira is a really fantastic antivirus software although to be able to enjoy an excellent protection you must acquire the premium version since with the free version you do not get all the security, and your plans can be a bit expensive which hinders your acquisition. since I started to implement this great antivirus I find myself much calmer since I know that my teams are completely protected from any potential threat. Avira without a doubt is an incredible antivirus software, because through a quick analysis it allows me to detect any type of threats such as viruses, worms, trojans, advertising software, and other types of malware while browsing or downloading files from the internet, providing a great tranquility since I know that my teams are protected at all times. The installation is quick and easy to perform. You do not need a PC with the latest market components to be able to use Avira because it consumes few resources from your PC, both in the installation, the update process, the analysis process and in real time protection. It should also be noted that it has a simple and visually attractive interface that makes it easy to use and that captures malicious traffic in the network ports of the endpoint, which is really fantastic. Avira is a really excellent antivirus software that perfectly fulfills its functions, however the only negative contribution that could have of it, is the fact that the free version has ads that in my opinion appear quite often to be annoying. It is clear that if the pay version is acquired, they disappear but the cost is a little high. If you are looking for an antivirus that is efficient, reliable, easy to use, that does not require almost consuming resources from your computer and detects virtually any threat, Avira without a doubt is the best option. "Avira, excellent option for the protection of our equipment"
Avira is very good antivirus software which allows me to navigate calmly through any page without fear of any virus affecting the system as this software provides a great protection against viruses, malicious programs, among others. through automatic updates and periodic scans. Avira has a simple interface which makes it easy to use. also it is possible to emphasize that it consumes few resources of the equipment, owns a system of scanning quite good and fast and captures the malicious traffic in the ports of network of the end point which is really fantastic. without a doubt it is an excellent antivirus software. While it is true that Avira is a great software for virus detection, the same to obtain all the benefits and functions you need to be a member "by" which can be a bit expensive compared to other free antivirus software that offer almost the same functions. On the other hand I find the constant notifications tedious to be able to access their premium plans. of rest I do not find any other negative characteristic. Avira is a great antivirus software that is easy to use and very versatile, that adapts perfectly to the needs of users without consuming a lot of system resources, allowing to be always protected against any threat. since I have implemented this great software in my work and personal life, I find myself much calmer since I can surf the internet, download files, receive files from my clients, among other types of things without fear of any virus affecting the system, keeping my teams free of dawns. "Avira has such an effective and useful free version"
The free version is very helpful in protection during browsing and scanning files and removable devices, its very easy to use, its fast and usea very little memory evwn while working in the background and does not effect the performance of the system, requires small space as well as few resources to run making it compatible with even small machines that lack large space, the pro version offers a vpn for secure browsing. So many pop-up ads even if its a free version I find them too much, upgrading to the paid version is expensive and has very little added to the free version. I wished I stayed with the free version because apart from stopping pop-up ads I did nit see something significant. It's a must try antivirus because its free and does almost everything an antivirus should do. It is however, not the best for high risk users. High risk users could consider choosing a stronger and more aggressive antivirus. With the free Avira antivirus it has been easy for everyone to keep their machines safe from virus as well as protecting our work network from attack by viruses has bewn made easy. Downloads are automatically scanned for viruses and malware and rejects corrupt urls as well destroying infected downloads. More than liking it, I'd say it's a good antivirus, It has basic functions that provide a good quality analysis and cleaning service, At the same time it allows the use of different tools that help to give a better performance to your computer or laptop, also constantly update your virus database to keep you protected, in general terms it covers the basic needs that you might have. One of the main unfavorable opinions that i would have about the product is that most of the functions of its tools can only be used if you are a "Pro" member, that is, when buying or raising your status as a regular to special customer, of course, every virus detection and protection software must obtain its profitability in some way, but taking into account the variety of services that they have and the amount of free software that exist with these same functions, they should consider promoting their services in a more accessible way. Another circumstance, although of lower incidence, is the constant notification that is sent to the client so that he can access his "Pro" plans to obtain better benefits, this becomes quite annoying and intrusive. It is a good product that fulfills the functions for which it was made, however lacks the ability to capture the customer within certain aspects of its overall performance. It has helped me to protect my laptop from any infection that comes with any file sent by clients, downloaded from the internet or from sources external to my laptop. 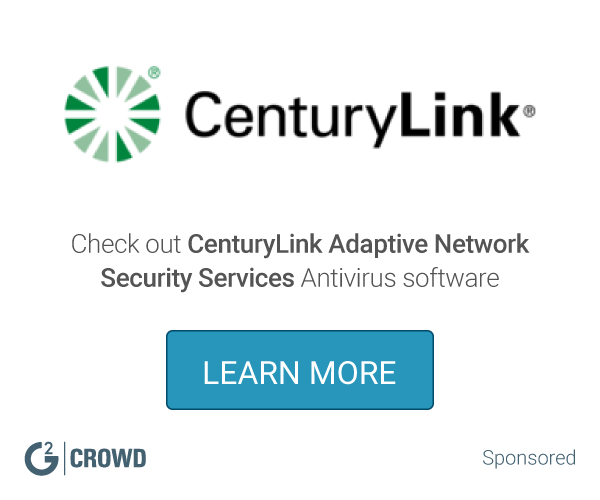 "Great security and antivirus software. " Light and robust at the same time, simple and easy to use. Avira is easily one of the lightest endpoint protection solutions available, it has a really small memory footprint and a low processor cycle demand. The updates work without problems. It captures malicious traffic in the network ports of the endpoint. It consumes few resources of the devices, it protects the threats quite well, it can navigate through any content without worrying about any virus that affects your system, Easy to configure and use. The updates of the database are frequent and very good. Less memory consumption and scan quickly. It captures malicious traffic in the network ports of the endpoint. Protection works well in offline mode or without updates. Value for money. 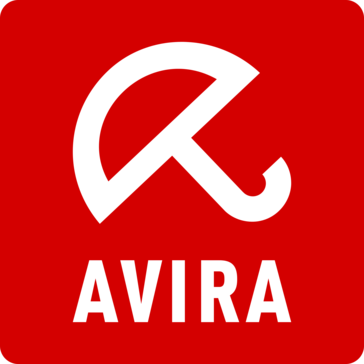 This Avira endpoint solution is an adorable solution for all users and we can use this software for all our devices using an account, I recommend it. The benefits are many among which are to be a free software has options for quarantine, deletion, deny access and more clearly than many antivirus for example the avas and panda.It is easy to use therefore takes little time in use it consumes few resources of the team with which I can install more than one antivirus. "excellent antivirus I recommend it "
"It's free version is incomparable with any other." It has the best free version that performs all the primary tasks of an antivirus. It scans and eliminates viruses in files, removable flag disks, downloads and generally everything which leaves your computer clean and protected from harm, it's very easy to download, setup and start using, has few requirements in terms of space and resources thus can work on any computer and does not alter any system processes like many do, the upgrade offers excellent additional features I found the von very helpful for secure browsing. It's not fully protective because sometimes I find it does not scan files that are deep hidden in the machine of files that are in form of rar or zip files which leaves you somewhat vulnerable. I did not find it so beneficial to have the upgrade version because it's expensive and has very little added from the free version. Avira is definitely the best Antivirus that saves you money with the free version and still gives you the protection you need for your basic use of the computers. However it's not for everybody some people perform tasks that are more exposed to malware and viruses thus require a stronger and more complex antivirus no matter the price. With Avira being the antivirus I have used for the longest time it has been easy to stay free of virus and other security threats to my computer's. Offers the best free version in the market, has wide coverage from files scanning to secure browsing using the phantom VPN, does not have effect on my computer system speed even when I run in the background and do other tasks. Too much pop ups requesting for upgrade which is expensive. It does not work well in Windows 10 I installed Kapersky later and it was listed as a malware I don't know why but I had to unstall it. I used it to keep my machine free from viruses especially from my years in college because the free version offered the basics I needed. "Simplicity of use for network security"
What I have used the most and liked the panel that has this program. The protection against malware is very efficient and identifies those malicious programs in a very short time making the navigation much safer. The performance of my personal computer has not been negatively affected, when accessing web pages and downloading files my performance does not go down which makes it very efficient especially when I travel and do not have a good internet connection. To improve is the detection of known threats, although practically detects almost all the most recent in some cases have not been eradicated at the time what has made me have to scan them wasting some time. Also the user interface having used other antivirus has been not so attractive to me and could increase the use improvements especially oriented with it scanning information. Product against threats in real time very attractive, detects virtually any threat, presents a performance for the work team very acceptable and the usability is almost perfect. The development and download of this work tool has been quite simple and quick to install. It has not presented any problem or misfortune worth highlighting and the integration with the devices of my company has been very good. "A really great antivirus ." I think Avira is one of the best i've tried , maybe at the same level of avg , i never had a problem with this antivirus , no virus inside every danger blocked from the beginning. So i would recommend this antivirus for every day use, i am not a programmer and of course if a hacker want to enter in your computer probably this Antivirus will not be all what you need for protect your self. But still is a very good product and very easy to use , just few clicks and you can do scans and all you need quickly. Sometimes happen that if i want to use softwares that come from a non official source , or some software that need admin permissions to enter your system , the antivirus recognize it like a harmful software also if i now is not so i have to allow the program manually. But is not a big deal. If you want a easy to use antivirus for your house or business , this choice can be the wright for you, with avira you will not have any problem, of course if you want the best solution probably you should go for a kaspersky antivirus but yet is a very good choice and for a good price too. Well is always very good to know that you are safe from potentially harmful softwares that can block your computer full of images, videos and important things. "Avira Endpoint Security Software Review"
I have used Kerspersky and I think it is better than Avira. The other problem with Avira is that it needs to be updated from time to time. Avira is a good software for business owners who cannot afford Kerspersky. "Avira Endpoint Security - complete security"
Sometimes we have to browse through various websites, open some websites. Because of this software, i am able to work in my system without problems.
" Antivirus with good detection rate"
It's ultra effective! I haven't suffered any boycott on my system due to any virus so it feels great to know I'm guarded from most internet menaces. It has various levels of guard, auto updates and periodic scans so after the initial setup you only have to dedicate to your normal activities without worrying at all about your system's safety. The annoying ads promoting the pro version, it shows up at least once a day casually on awkward moments and it's pretty invasive. I truly believe that the notification rate should be much more casual because being extremely annoying won't make the customers run to buy a license, just let the product speak for itself, let the quality make the difference and show a reminder every once in a while. Anyways, I guess it's worth it when you consider that you are having the privilege of enjoying the benefits of the very high quality of the product for no cost. If you like the idea of having a non-invasive anti-virus solution that won't take tons of system resources and will keep you safe Avira is the right choice for you and your organization! "Excellent performance with low memory requirement"
I enjoy the excellent performance with low memory requirement. It helps to the computer running virus-free and quick. However, the notifications are a bit obtrusive at times. But at the end of the day, Managing system efficiency is probably one of the biggest challenges to keeping the work flow at an optimal level. Avira endpoint security is a big part of my company's ability to do the job that we need to accomplish. I find that the alerts and notifications sometimes pop up during full-screen mode and are very noticeable. They are very accessible which I guess could be a pro. I don't like that there is no option to have the notifications disabled during full screen applications. Great bang for buck. Efficient and effective. The problem of computer efficiency and avira is a great way to keep the computer free from threats while at a low system-usage cost. Managing system efficiency is probably one of the biggest challenges to keeping the work flow at an optimal level. Avira endpoint security is a big part of my company's ability to do the job that we need to accomplish. "Good as an anti virus"
Always up to date and the software doesn't occupy much memory or computational power on my laptop. Anti viruses have limited effectiveness. Avira comes short as many other anti viruses. As is the case with most anti viruses, the effectiveness of having one on your computer is limited. On the other hand, it is important to have one. Avira delivers a reliable solution that doesn't clog up your computer. I would still look into alternatives for pricing and effectiveness of protection. Security and attempting to protect our laptop from viruses. "It's simply worth more than price "
It's got a free version that is simply the best there is, is fast and requires few resources to run thus can run in any machine, offers a vpn for safer surfing of the Internet. Nothing at all I have always used Avira both free and the paid version and they are all I look for in Antivirus. It's the best Antivirus I have used and I believe it will be to you as well. Avira reduces the fear of virus infection and destruction of files because all things including removable disks are scanned instantly they get to the computers. "Simply has the most useful features in the free version." its cheap because the free version offers generally alsmot everything one needs from an antivirus, doesnt require much space in the system hence does not interfere with the system processing speed, easy to use, offers vpn which is very important for secure browsing. Nothing at all every feature is exactly what I was looking for. Its the cheapest Antivirus I have ever used with such amazing features. Staying free from viruses was made easy by use of Avira at no cost because I was using the free version. It is the best antivirus available in the market. It removes approximately every antivirus that attacks your system. It User Interface is very great easy understandable. Automatically detects virus from the internet. When we uninstall this antivirus some files remains in the system even after uninstalling. Securing my systems from antivirus. "One of the best AV software"
It's ultra effective! It one of the better AV in the market right now. It has a very good performance and a always updated database. It has various levels of guard, auto updates and periodic or scheduled scans. The annoying ads promoting the pro version, because even if you are using the free version, you are enjoying the best industry protection. Avira with Avast are one of the best and light AV software. "I trust Avira Endpoint Security with our business needs." I like that Avira Endpoint Security is easy to install and use. It protects our computers against spam, hackers, and viruses. I dislike that the email protection and server security are extra features that are not on our plan. I would like to have seen that added to what we have installed. There are several different versions of Avira Endpoint Security available. Make sure that you look into all of them to make sure that the product meets your needs completely before you invest in it. We are solving privacy and security issues with the Avira Endpoint Security program. I have realized that this is easy to use, trustworthy, and it benefits everyone in our small company. I like how easy Avila is to setup and maintain with little to no interruptions. Its ease of use is also fantastic, including the available browser extensions. I don't like its lack of complex features, the malware and parasite detection doesn't seem super comprehensive, but its proactive protection makes up for that. Just basic security management for office devices, nothing special. The benefit is the constant security over multiple VPN's without limiting productivity. It blocks maximum threats . It has a very simple User Interface, easy to use. It is also mobile friendly. It crashes sometimes when running parallel to other antivirus softwares like defender. It do not get fully uninstalled after the uninstall. Security is one of the essential factor for any work and avira helps in protecting it. Avira's protection against viruses and,malware files is excellent. Good firewall, and overall a good free anti virus option. The pop ups to upgrade to paid version can be annoying -- but that is what you get with a free product. Real time scans and clearing of viruses on my computer, which is my source of livelihood. "A simplistic Antivirus that did not meet my expectations"
What I liked best about Avira is that it was a simple Antivirus with the fewest amounts of buttons. If a consumer needs to scan their computer or check a certain file, this can usually be accomplished with relative ease. Avira had too many pop up advertisements and notifications. These weren't simple things in the corner, but instead were full screen ads or notifications, making it very bothersome to be able to work. During my time period of using this software, I noticed a lack of customization options. to bothersome to use efficiently, Competitors have better products. "CHEAP AND AFFORDABLE SOFTWARE "
Cheap price and affordable service to suit your needs, and powerful security system and Virus protection. sometimes failed to automatically update to new systems, but when you retry it works perfectly well. If you're looking for powerful, convenient security system to protect you from hacker and fraud activities, wait no more, Avira Endpoint Security is here for you to be your protector.!! Good anti-malware suite and fairly easy to administer. Reasonable value. Avira help me in infected URLs and phishing attacks. simple to use. easy user interface. intuitive. nothing. the product works ok and i have no complaints. Literally one of the best detection rates of all AV products on the market. Avira has been prone to high false positive rates, but is improving all the time in this area. Seems to bog down the computer more than other AV packages, though, and scans seemed slow. Also, maybe it's just me, but I don't think AV packages should include third party toolbars (Ask.com) in the installer. Look to other packages like Avast. "You can rely on it"
Very easy installation process and can handle threads very well. It's very lite and easy to work with. I can't say any dislikes about it for now. Its all free and free, and gives your pc protection from virues, trogans etc It is a good option for home computers. "Works good for home desk"
Learning about Avira Endpoint Security? * We monitor all Avira Endpoint Security reviews to prevent fraudulent reviews and keep review quality high. We do not post reviews by company employees or direct competitors. Validated reviews require the user to submit a screenshot of the product containing their user ID, in order to verify a user is an actual user of the product. Hi there! Are you looking to implement a solution like Avira?